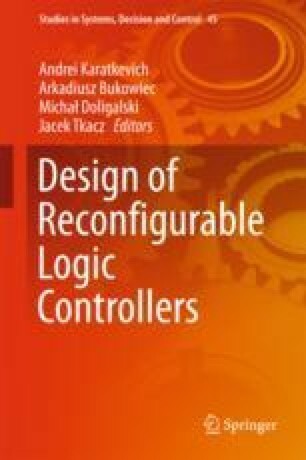 The chapter presents an overview of applying the Petri nets as a model and a way of specification of the parallel logical control algorithms. The history of using the Petri nets for representing the structures of the parallel control algorithms is presented. The extensions of the Petri net model applied in the area of logical control are discussed. The Petri net-based programming languages used for programmable logic controllers, such as SFC, GRAFCET or PRALU, are considered. The author is grateful to I. Grobelna and R. Wiśniewski for valuable comments which helped to improve this chapter.